Pocoyo is now available on Amazon Prime Video through the Amazon Video Direct auto-publishing service. Pocoyo is now available on Amazon Prime Video through the Amazon Video Direct auto-publishing service. The series is one of the latest additions to the Kids & Family selection on this streaming platform. At the moment it can be seen in Spain and Mexico through Amazon, with the aim of being present in all the markets where the platform is available by the end of October. Users of Amazon Prime Video can enjoy the adventures of Pocoyo and his friends at any time. A story that unfolds in an environment where colors, shapes and music make up a unique space, and where there is always a didactic spirit and values ​​such as respect, tolerance or friendship. 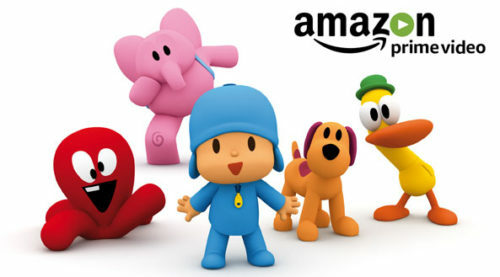 The availability through Amazon Video Direct is one of Zinkia’s biggest bets, as part of an ambitious international expansion plan for the Pocoyo brand in the digital environment. Alberto Delgado, CEO of Zinkia, states that “Pocoyo is a content that adapts very well to the characteristics of on-demand video platforms, the quality of its proposal and because it has a great appeal among children’s audience throughout the world”.